COST: $900.00 + GST and must be Paid in Full 4 weeks Prior to event date (by Feb. 18th) – Non Refundable deposits upon Registration to secure spot in event. TRANSPORTATION FOR PLAYERS: Transportation will be provided in the form of a team Van for ONLY the players to and from the Hotel to Practice and games. Please note, we WILL NOT provide transportation to and from the MLB game or ASU game. For those events the parents must transport their children. GAME TICKETS FOR MLB AND ASU GAME; Tickets will be provided for the players only and handed out at the Will call at the Stadium at a designated time. Please note that if we get a stadium tour at ASU that Parents are Welcome to join us. The Sheraton Crescent; 2620 West Dunlap Ave. Phoenix, AZ 85021 *Please note that this is not mandatory that you stay in the team hotel as many of you may have family or other plans for lodging. Step 2) Click “Reserve Individual Room” to make an individual reservation. Please make sure that all the information is accurate before accepting the individual cancellation policy and clicking submit. After you have submitted your reservation online you cannot edit your booking. To make changes to your reservation, please call us toll free at 1-866-861-TEAM (8326). If Calling in, team members MUST have the file # (49480) on hand. 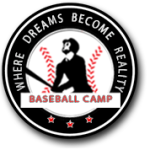 *On a daily basis each team will have the opportunity to have team time (Practice), skill development time with team and professional coaches as well as play game(s)/intersquad. Friday to Sunday – March 22 to 24 – USSSA NIT Spring Championships. Eddie Marin – Scout for Generales De Durango (Mexican League), Head Coach of Arizona Blue Jays Scout team. Special Guest: Shea Hillenbrand – Two time MLB All – Star and founder of “Against All Odds” foundation.